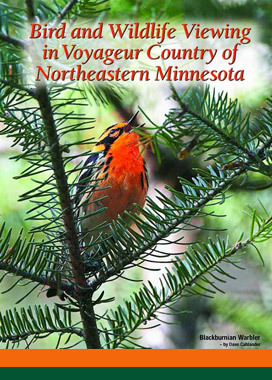 This guide will help you find locations to view the wildlife and birds of Voyageurs National Park and its surrounding areas. A feature of the northern St. Louis and eastern Koochiching County region is the numerous waterways of lakes and rivers. Traveling to some of the locations listed in the guide will required the use of a watercraft as these areas are remote and wild. Other routes can be accessed by car and their hiking trails are noted as such in this guide.